With Henry Cejudo’s recent victory over TJ Dillashaw, the future of the UFC’s flyweight division is looking very promising. “Henry – other weight classes will be there but ours is still not certain. We have the power now more then ever to keep it moving forward and bring the respect it/we deserve! We represented for the flyweights that whole TUF season and delivered in our fight! “(One of the hardest of my life and I know you feel the same) and we also did that on Saturday in Brooklyn! I want that belt, I was the first person to ever fight for that belt and I know the competitor in you wants to try to avenge the loss to me on your record! Cejudo and Benavidez initially met back in December of 2016. Benavidez took home a controversial split decision victory, handing Cejudo his second-ever loss in mixed martial arts (MMA) competition. Cejudo went on to earn back-to-back wins before landing another shot at then-flyweight champion Demetrious “Mighty Mouse” Johnson. 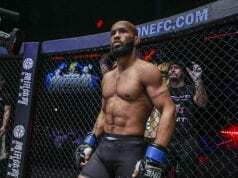 The former Olympian defeated Johnson at UFC 227 this past August via split decision, handing “Mighty Mouse” his first loss at 125 pounds. This past weekend (Sat. January 19, 2019) Cejudo made his first career title defense. He knocked out bantamweight champion TJ Dillashaw in their superfight at 125 pounds. 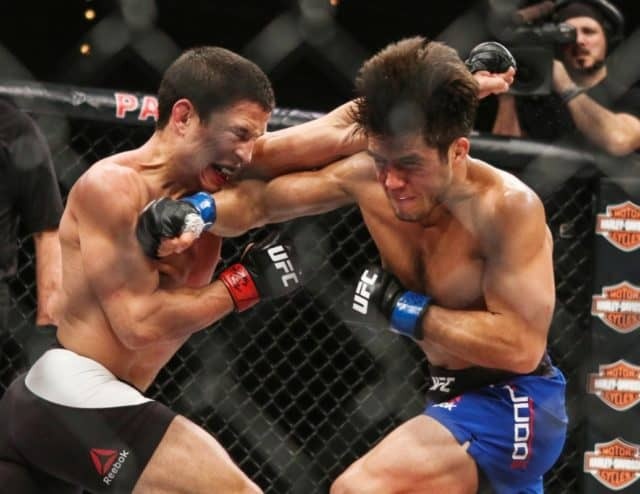 On the same card, Benavidez defeated Dustin Ortiz via unanimous decision. Perhaps Benavidez will earn the next shot at the flyweight throne if UFC President Dana White decides to keep the division open.